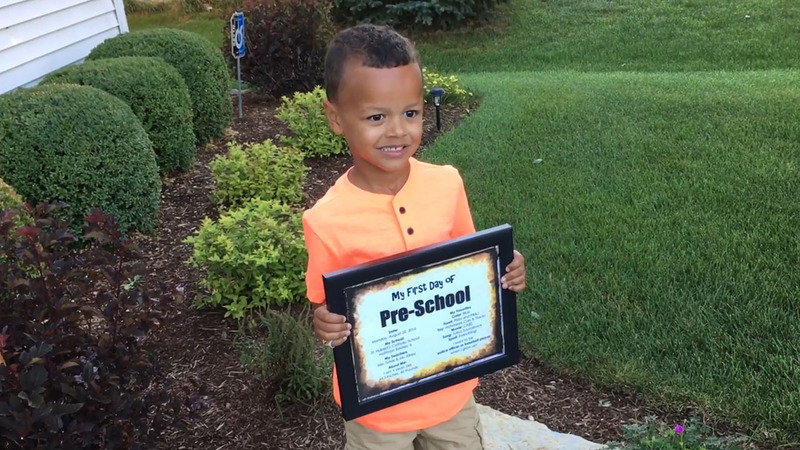 Father fights back the tears after dropping his son off at preschool for the first time. CHICAGO, IL -- Jarrett Payton of Chicago underestimated the emotional impact of dropping off his son at school for the first time. With tears streaming from his eyes he confesses to the camera "I tried to hold it together". And after a bit of weeping he comes to the conclusion, "I don't think there's anything cooler than being a dad, man. It's real."